Apparently Gun is working on a new project and they want everyone to know about it. The direct link is here. According to Wikipedia: Marie-Georges-Jean Méliès, known as Georges Méliès was a French illusionist and film director who led many technical and narrative developments in the earliest days of cinema. Bloober Team: An indie game studio and makers of 'Layers of Fear: Legacy' the self proclaimed "most immersive horror game on Nintendo Switch." Could be interesting. Layers of Fear was a fantastic little game, and the works of Georges Méliès are certainly under-represented in video gaming. And of course, the whining and kvetching about how "Gun is abandoning F13" and such has already begun on over on Reddit; I'm hoping that same sort of willful ignorance doesn't infect this thread as well. When I was on YouTube I looked up at my notification bell then I saw a new GUN MEDIA video! When I click on it I was like WTF, where the hell is Jason? But after I read the description I discovered they're working on a new game!? Didn't they say they were going to finish with Friday the 13th content then work on a new game? I was all in excitement when I first saw a new upload called Project Méliès. 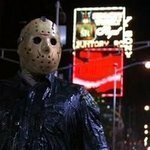 Can some mod or the admin please tell me what they're really doing with Friday The 13th? What are they doing with dedicated servers!? I mean they made a bunch of profit from Friday The 13th Game, they can't just leave that behind. I’ve been looking at the comments for the teaser and people are just mad that it’s not F13. They can’t just do ONE game and not another at some point. Gun Media, publisher of the award-winning Friday the 13th: The Game, today announced that it has entered into a publishing agreement with Bloober Team, developer of the critically acclaimed Layers of Fear franchise. Gun has acquired worldwide publishing and marketing rights to Bloober Team's next, currently untitled game. Bloober Team and Gun Media expect to announce more information about the game, including title and release date, at a later date. Jason Voorhees is a treasure hunter confirmed. Gun doesn't matter, it's Illfonic you should worry about. Can some mod or the admin please tell me what they're really doing with Friday The 13th? What are they doing with dedicated servers!? Friday the 13th: The Game is very much still in active development. We've been sharing news every week about the new developments, and things that people will see in the next update. Dedicated servers are going to happen, and there is more content that will be added to the title. Thank you, I just hope the new game is going to be awesome, what is the game suppose to be about? Thanks for the heads up. I always like knowing titles to avoid. I MAY pick this up when it hits like $2.99 on the PS4 store. Oh I wasn't expecting this! I'll have to keep an eye on its development. Not keen on that little video though, I absolutely hate teasers that leave you knowing or understanding no more than you knew before clicking 'play'. Can someone on simple terms explain what this is about or what Layers of fear is about please? Good luck with the new title guys! Looks like a teaser for a Bioshock game. Bloober Team and Gun Media expect to announce more information about the game, including title and release date, at a later date. what is the game suppose to be about? They just entered into a publishing deal. They haven't even released a title for it yet. I am fairly sure they are not going to give out any information about it for a while. Can someone on simple terms explain what this is about or what Layers of fear is about please? I don't think we will find out anything about the game in the teaser for some time. Layers of fear is a first-person horror game. The game is full of puzzles, some jump scares, and an in-depth story. It is about descent into madness and I found it to be a pretty well-done, atmospheric horror game with a great story. The jump scares were plentiful, maybe a bit too plentiful, but I am really not a fan of jump scares. If you like solving puzzles and enjoy story-driven horror, I think you will like it. It's been out for a couple of years. This looks... Interesting? I don't really know what to think of this tbh. I've never played layers of fear, so. I'm on the fence about this game, i'll have to see some more gameplay before I decide. Hmmm. It's a publishing deal. GUN is a publisher. No biggie. It doesn't interfere with creative input on F13 or development since Illfonic are doing F13 for GUN. I'm feeling a first-person game, possibly psychological horror or could possibly be a more straightforward puzzler, themed and presented around those famous and dreamlike Méliès silent pictures. If you've ever seen that picture of the moon with a rocket in its eye, or a giant puppet of a frost troll towering over a landscape, then that's Méliès. Lol we will believe it when we see it ? Illfonic will not work on this game, why will it? ???????????? . Until Gunmedia see the incompetence of his partner. Any news on this game yet?